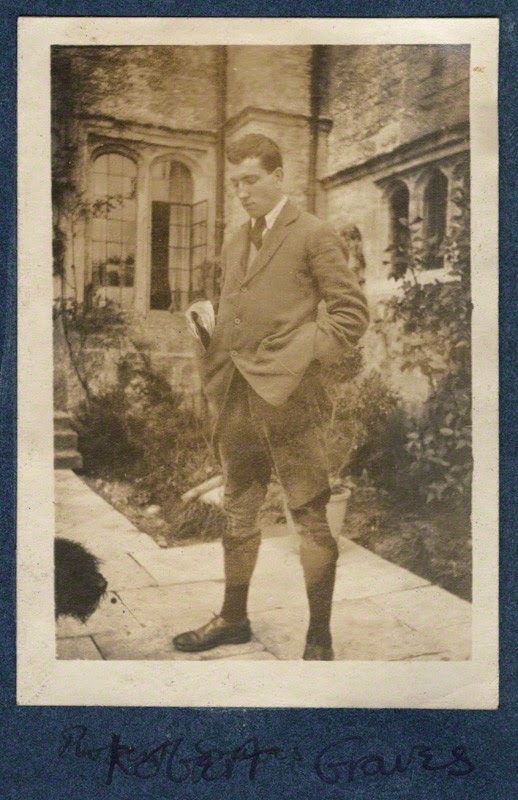 Robert Graves in 1920, from the National Portrait Gallery. Used under a Creative Commons license. As I was preparing last Monday's latest post for the Illuminatus! online discussion, researching the Judgment of Paris (i.e., the "Original Snub," as the episode is referred to by Discordians), I pulled out my copy of Graves' The Greek Myths. My eye somehow fell on the Foreword to the 1960 Revised Edition, which is the one I got when I bought my Pelican paperbacks (two volumes) in the early 1980s. It's a startling rant, asserting that psychedelic mushrooms were the "ambrosia" central to Greek religion and that "ambrosia then became, it seems, the secret element of the Eleusinian, Orphic and other mysteries associated with Dionysus." Graves also devotes a paragraph connecting "Tlaloc, the Mushroom-god" in Oaxaca, Mexico, to this Greek tradition. The foreward is reproduced here, and there is apparently more about this in Graves' book, Food for Centaurs. While there have been other "sacred mushroom" writers, e.g. John Allegro, Graves apparently got there first, or at least ahead of other writers I am familiar with. Perhaps it's a coincidence that Illuminatus! name-checks Tlaloc on page 9 and perhaps elsewhere and that the Atlantis myth used in Illuminatus! could explain the link between Tlaloc and Dionysus. In any event, this interview shows that Robert Anton Wilson was reading Robert Graves as far back as his high school days. And here is a blog written by Alec Nevala-Lee, a novelist who is interested in Robert Anton Wilson and Robert Graves. I am going to have to try one of his novels soon. Robert Graves was a great poet and an excellent novelist, but he may have been the most unreliable narrator on historical matters until Colin Wilson came along.